To order a printed copy of the Jules Verne - Worldwide Journeys brochure, simply click the Request button below. 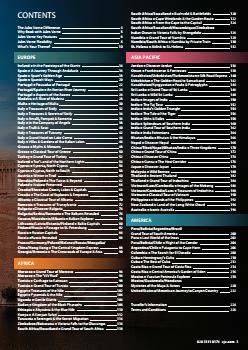 You can download the Jules Verne - Worldwide Journeys Brochure instantly as a digital iBrochure [?]. 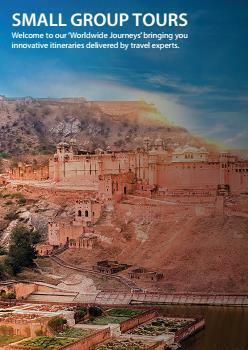 View the Jules Verne - Worldwide Journeys Online Brochure Now! Innovative specialist tour operator, Jules Verne, is delighted to announce the launch of their new Worldwide Journeys brochure. Discover inspiring places on group escorted tours with Jules Verne. Request the brand new Worldwide Journeys Brochure to read about authentic travel with a twist for people who love to see the world. Whether you want a grand tour of the Baltics or to discover the treasures of the Nile, the Worldwide Journeys Brochure has it all. Jules Verne are proud to have been voted 'Best Specialist Tour Operator' at the Times and Sunday Times Travel Awards. Over the past few years, and amongst other awards, Jules Verne has been consistently voted in the top five of the UK's best tour operators. Jules Verne's 100% Price Guarantee also means your holiday price is fixed when you book and you won't ever pay more, even if the costs increase afterwards. 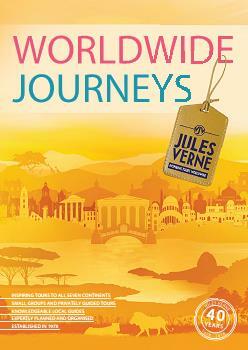 Request the new Worldwide Journeys Brochure from Jules Verne today! Jules Verne - Worldwide Journeys Brochure Eve B. said: Very easy to read, lovely photos, all very tempting. Jules Verne - Worldwide Journeys Brochure Roger C. said: Very good and informative brochure. 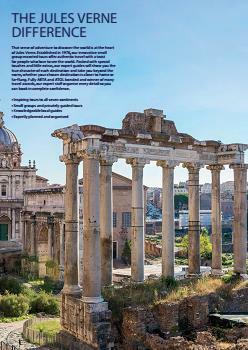 Jules Verne - Worldwide Journeys Brochure James R. said: big holiday September abroad,family wedding. By pressing the Request Printed Brochure button you give consent to Jules Verne - Worldwide Journeys (and their Data Processors for the specific purpose of delivering your literature) to send you their Brochure .